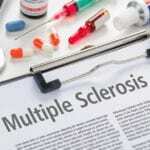 Dental amalgams, often called silver fillings, contain about 50% mercury. Dental amalgam fillings, which are made with a mixture of mercury, silver, copper, tin, and sometimes zinc, are still used in the United States and a number of other countries. 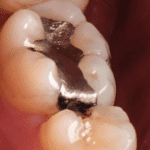 Often called “silver fillings,” all dental amalgams are 45-55% elemental mercury. 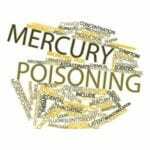 Mercury is toxic, and this poison is recognized as a chemical of major concern because it poses a dangerous threat to public health. 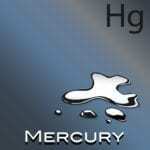 Mercury accumulates in the body, and any amount of mercury taken into the body should be considered hazardous. The use of mercury in dental amalgam fillings poses serious risks to human health, and dental mercury released into the environment can cause long-lasting damage to wildlife. 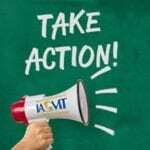 The IAOMT is dedicated to sharing dental mercury facts so that professionals and consumers can recognize the threats of amalgam fillings. Dental amalgam mercury pollution causes harms the environment because of the use of silver fillings. Dental amalgam danger exists because mercury fillings are associated with a number of human health risks. Recognizing the myth and truth about alleged dental amalgam safety helps to demonstrate harm from mercury fillings. The subject of risk assessment is essential in the debate over whether dental amalgam mercury is safe for unrestricted use or not. This thorough document includes an extensive bibliography on the subject of dental mercury in the form of over 900 citations. 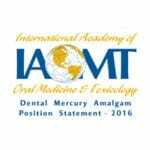 The IAOMT has created a protocol of safety measures that can mitigate mercury releases during amalgam removal. There are many alternatives to mercury amalgam fillings, but biocompatibility should be considered when selecting a material.